very popular for collectors,reenacting and WW2 military. 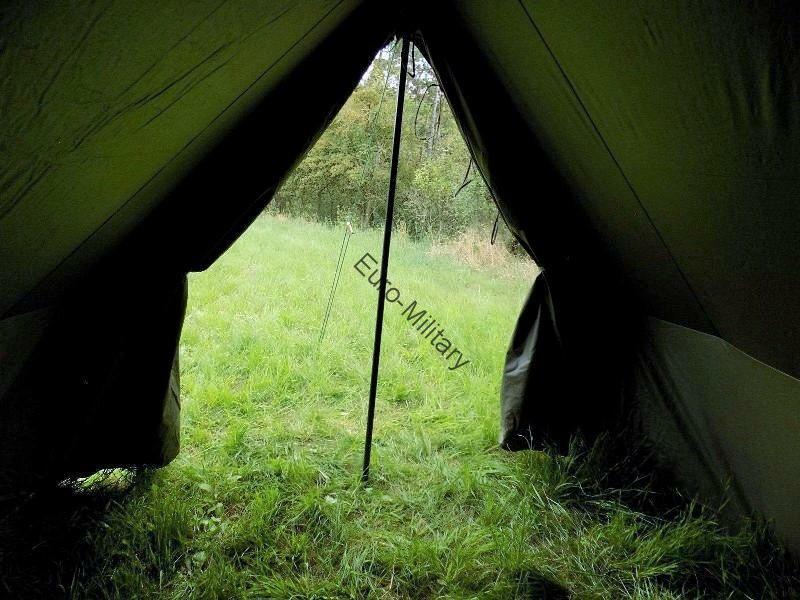 Made from a coated cotton canvas, the lower side walls of these tents can be rolled up for ventilation. 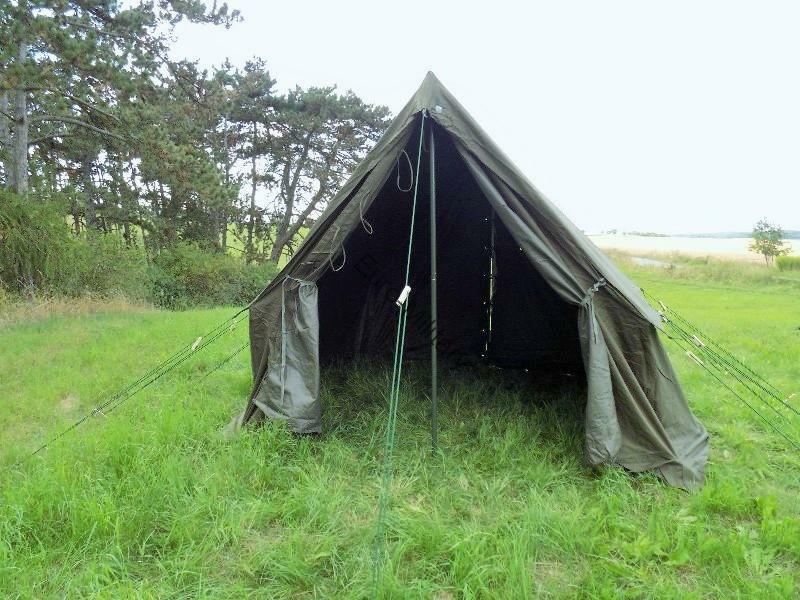 Roughly 2.7m x 2.7m with a maximum height of 2.4m these tents were used by officers or as storage tents. 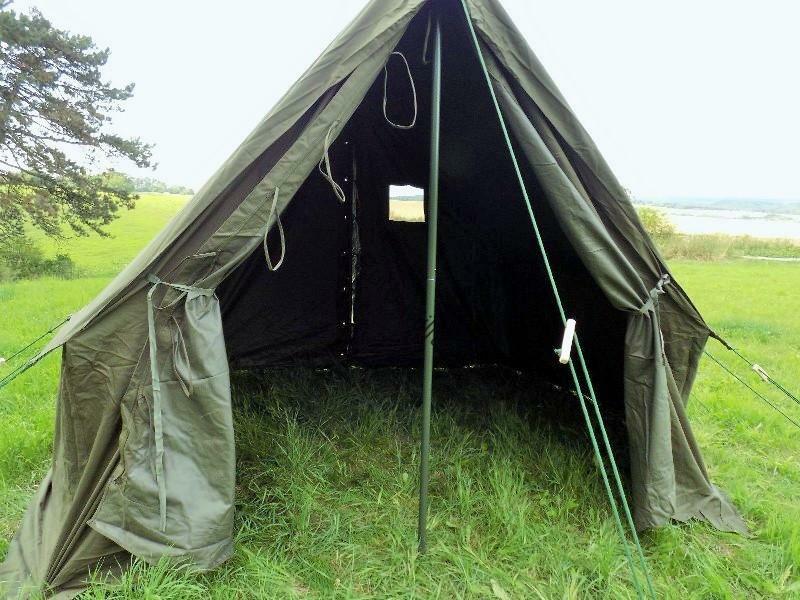 The tent comes complete with tall metal poles, a series of metal pegs and a mallet, and is packed in a large cotton transport bag. 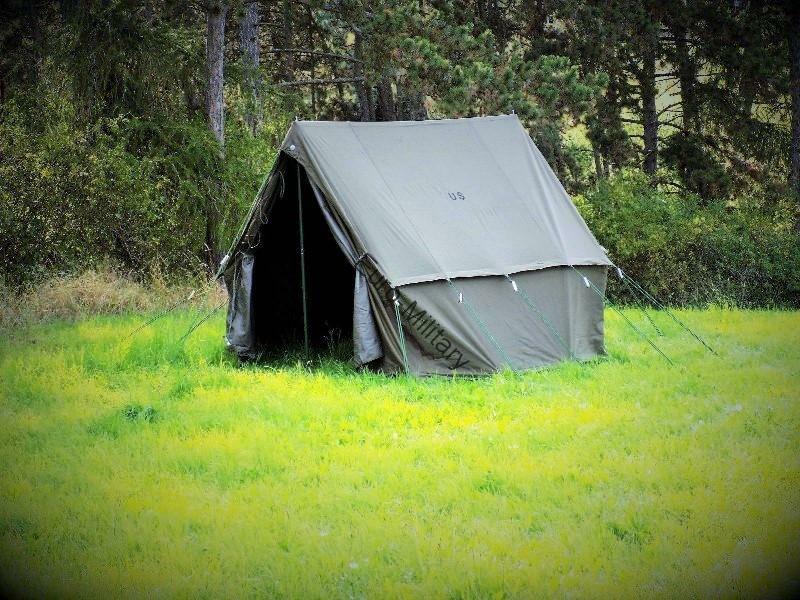 These tents are made from a waxed canvas, making them water resistant and quick drying. 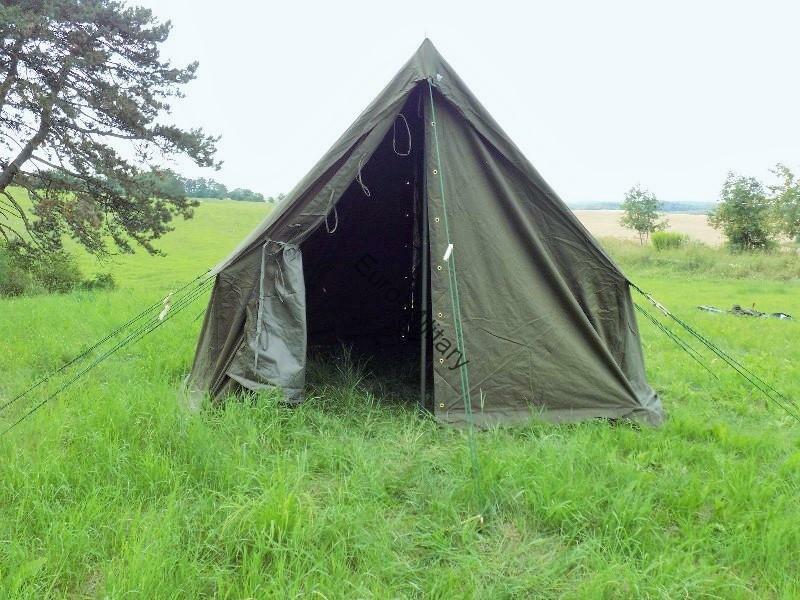 These canvas for these tents is new and made from a more modern, tougher material so it will take time to age up. 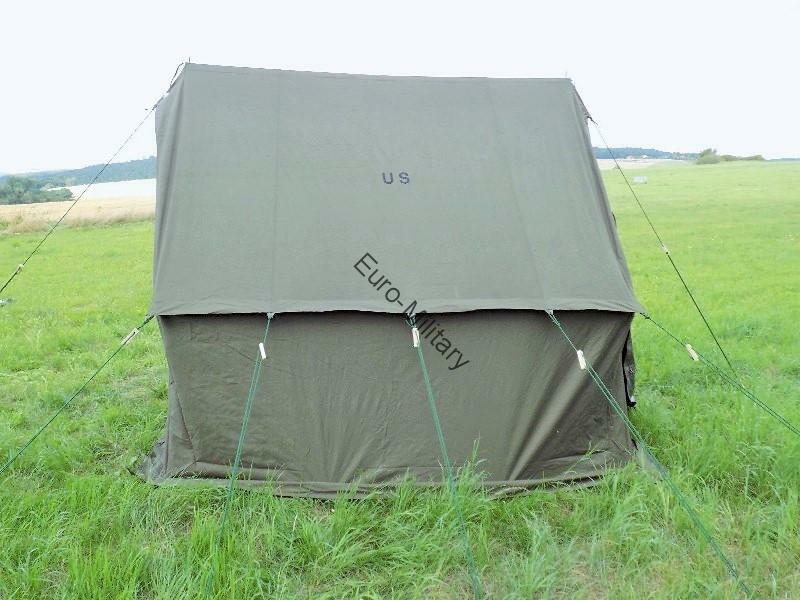 They also have metal poles and pegs as well as modern guy ropes, which has helped create a tougher tent sure to be on your WW2 US display for many years to come! 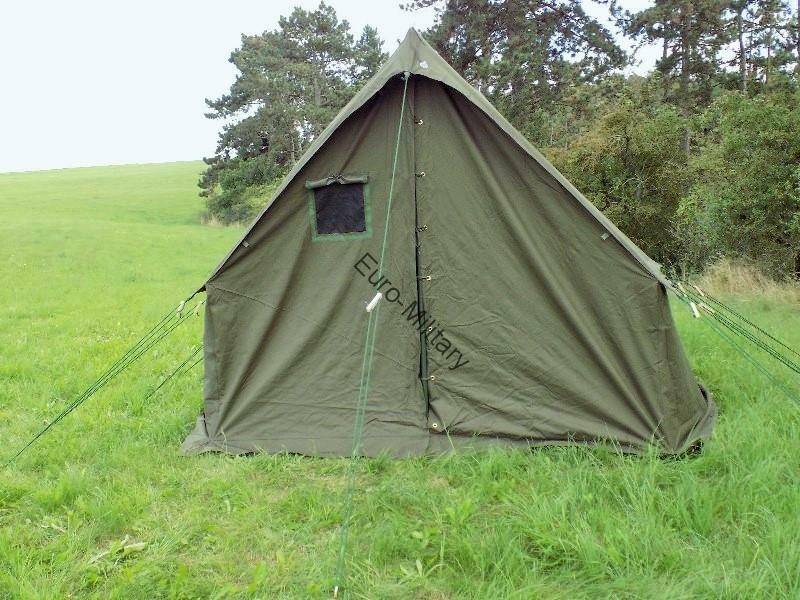 7,29 m² (L = 270 cm, W = 270 cm) Middle height: 240 cm Side heigth: 100 cm Pack size: 140 x 30 x 20 cm Head of water: 300 mm Weight: 29.Kg.